The Diplomatic Hotel is a 3-star hotel in Igea Marina which has a large garden, guaranteed parking for all guests and a restaurant with a 0 km kitchen. It admits small animals. 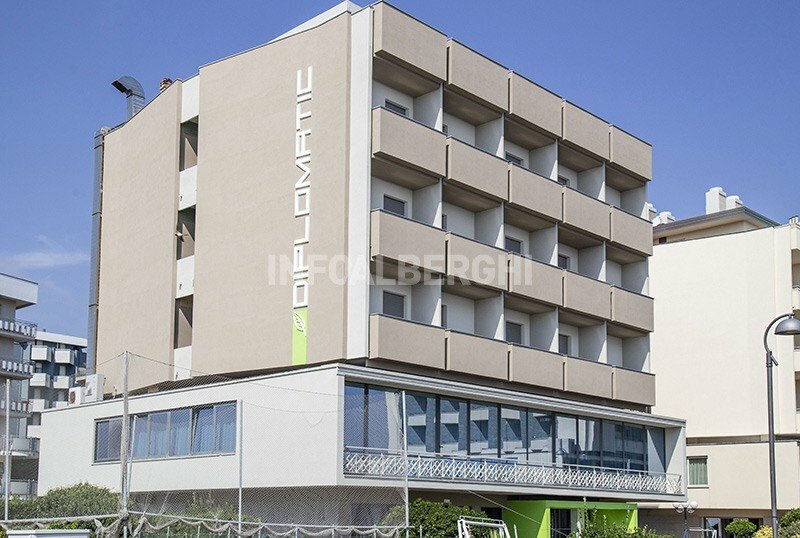 The hotel is located in Igea Marina overlooking the promenade, in front of the beach, near the center and about ten minutes walk from the Parco del Gelso. All rooms have a balcony (most of them with sea view), air conditioning, WI-FI connection, satellite TV, telephone, safe, minibar and bathroom with shower and hairdryer. Garden, terrace, restaurant with sea view, lift, welcome drink, newspapers, theme nights. Beach towel on payment (in the all-inclusive superior formula). PARKING: paid, guaranteed for all, covered or uncovered. AGREEMENTS: beach, amusement parks, organized excursions. LUNCH AND DINNER: traditional cuisine "farm-to-table" with buffet lunch and dinner. Pasta and desserts are homemade. In the hotel: swimming pool for children, strollers, entertainment with baby and mini club (in June, July and August), baby sitter, pediatrician on request. At meals: high chairs, baby menus. On the beach: entertainment, children's pool, playground area. Guests of the hotel can enjoy the private swimming pool on the beach, located in front of the Touring hotel. The pool has an area of 120 square meters and variable heights (from 80 to 170 cm), it is sunny all day and surrounded by sun loungers. It has an area for children of one height and, separately, a heated hydromassage with 4 available spaces. 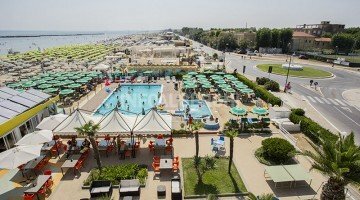 The hotel has an agreement with the bathing establishments Bagno Sante and Bagno Mario. Among the services available, guests will find a 120 sqm swimming pool with a children's pool and a separate Jacuzzi.